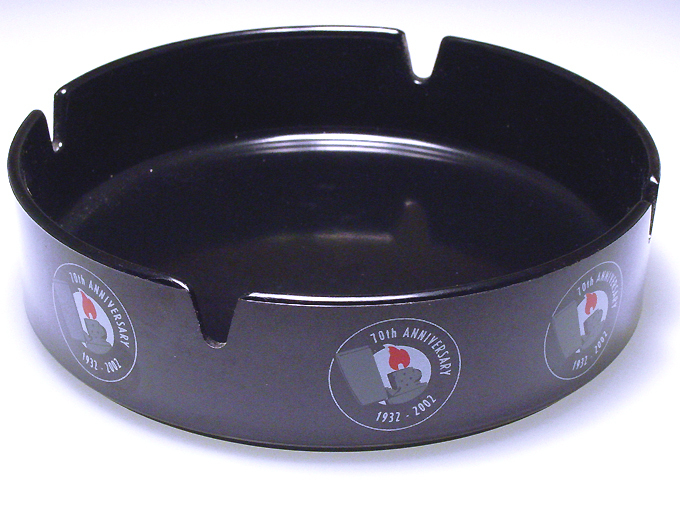 This black tinted glass ashtray measures approximately 6" x 3"
and has a shiny silver imprinted design with a glaring red flame. 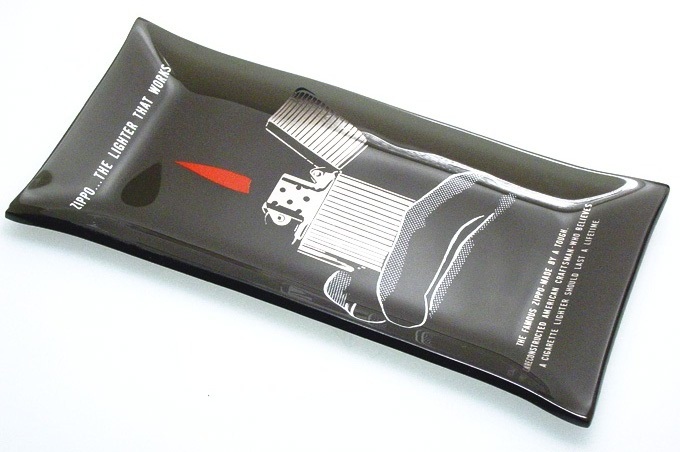 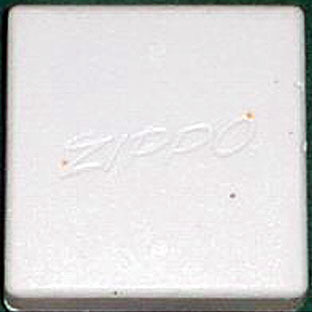 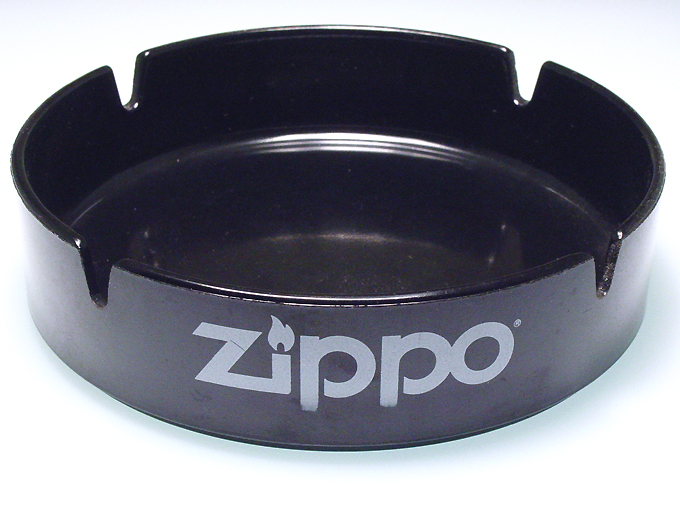 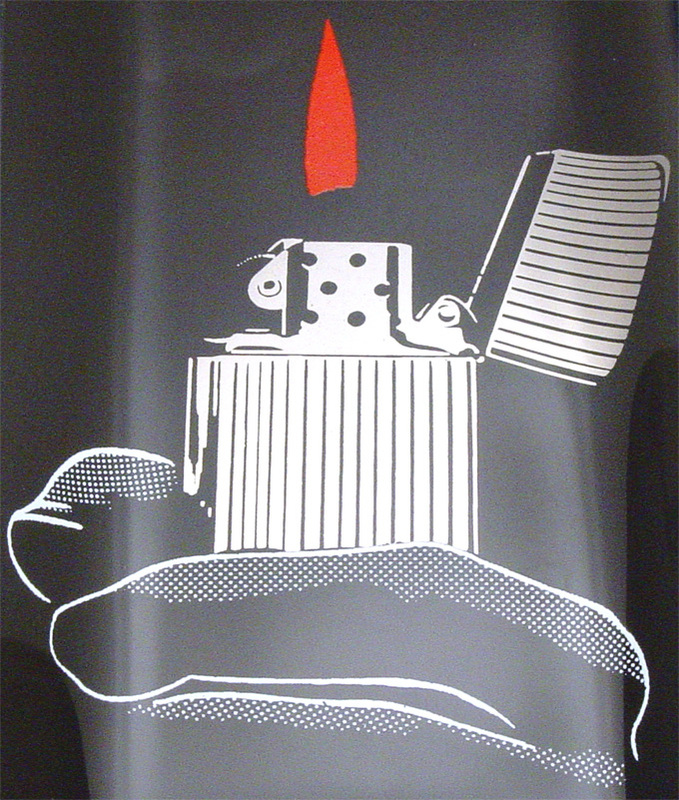 ...which shows a slim Zippo lighter that were added to the product line in 1956.
was discontinued in less than 2 years. 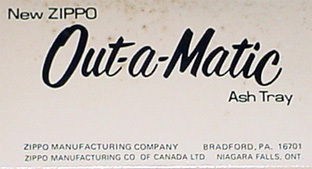 in a outside cardboard box. 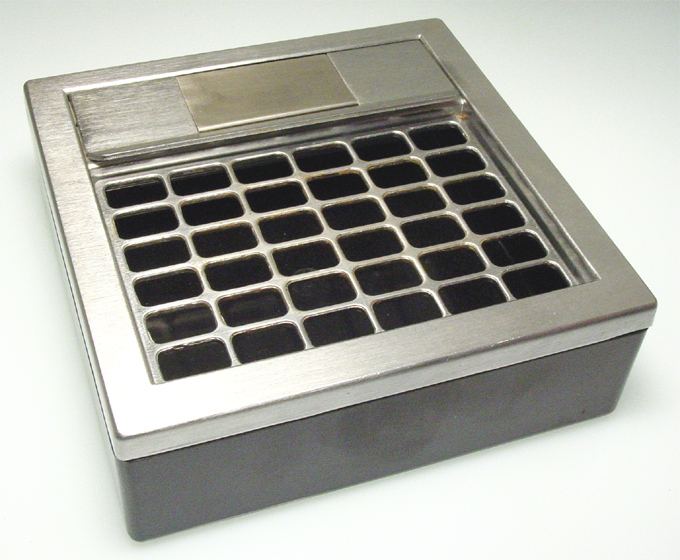 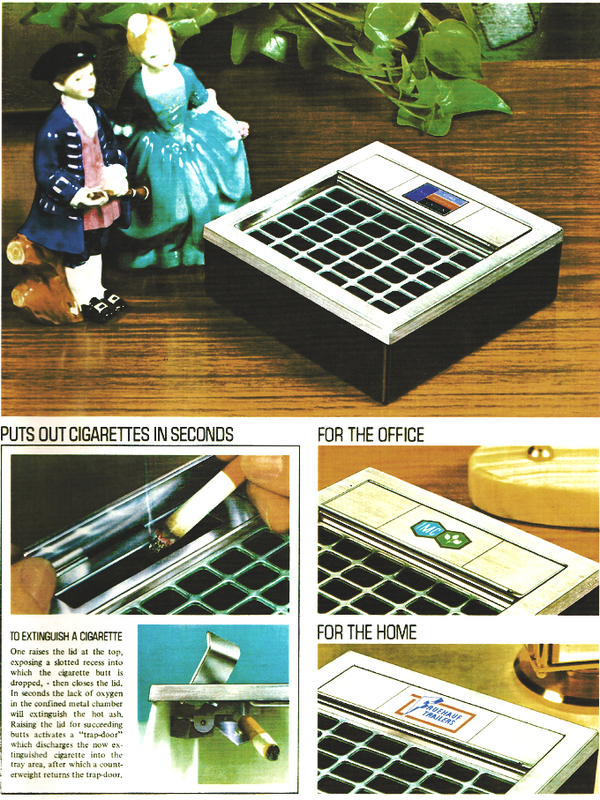 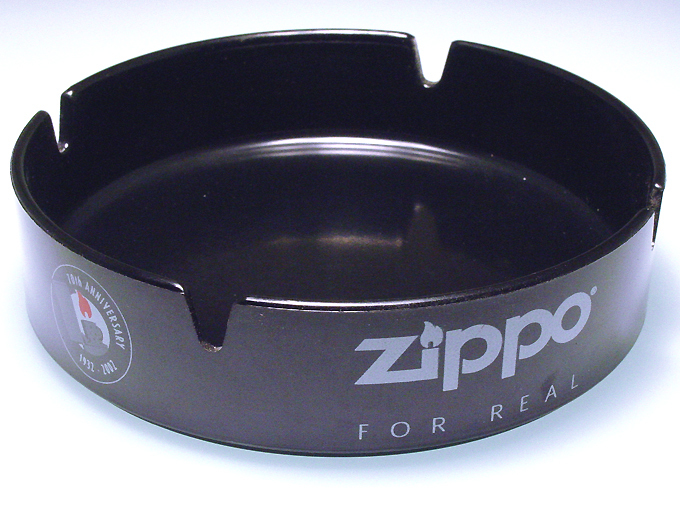 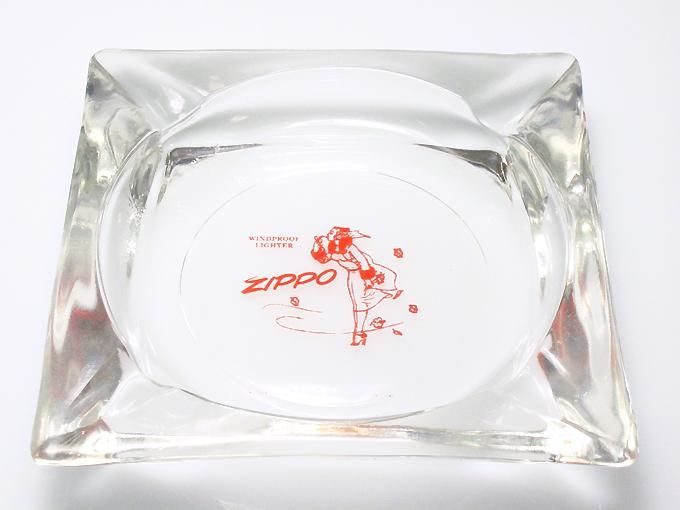 The ashtray measures 6" x 6" x 1 5/8" and had the product number 5700. 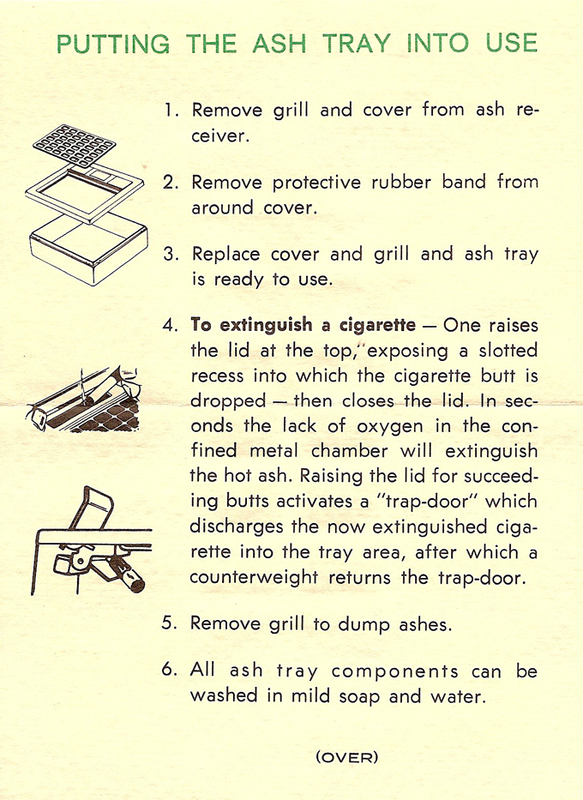 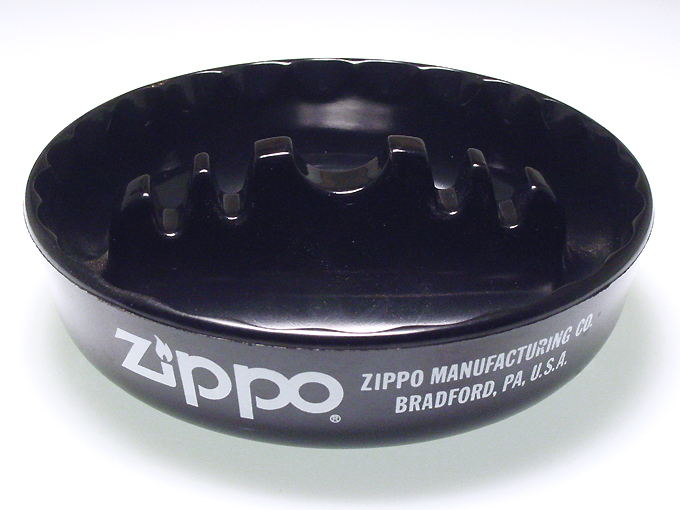 The patent number 3.351.069 can be found on the bottom of the ashtray. 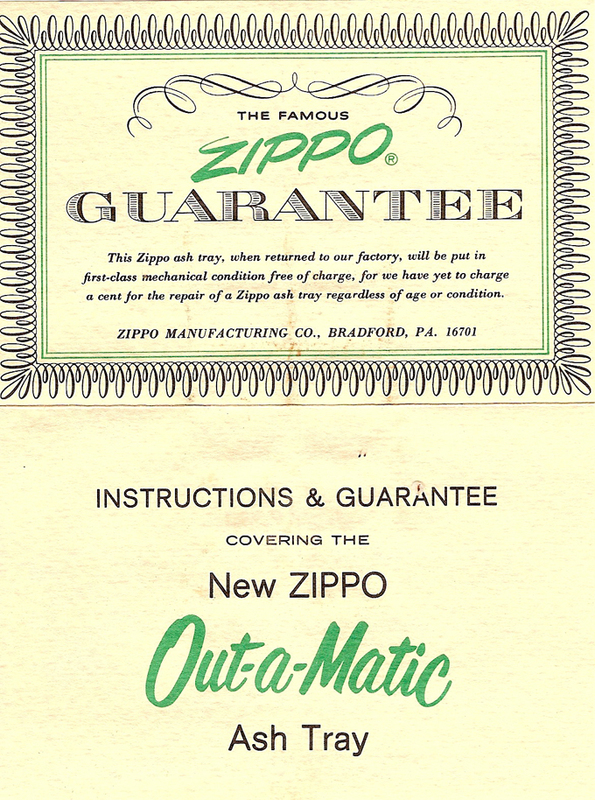 The original guarantee card with instructions for operation. 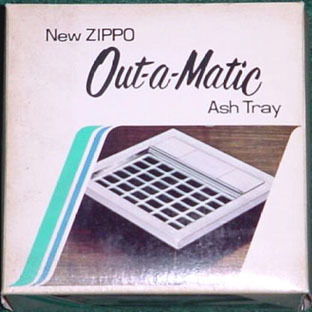 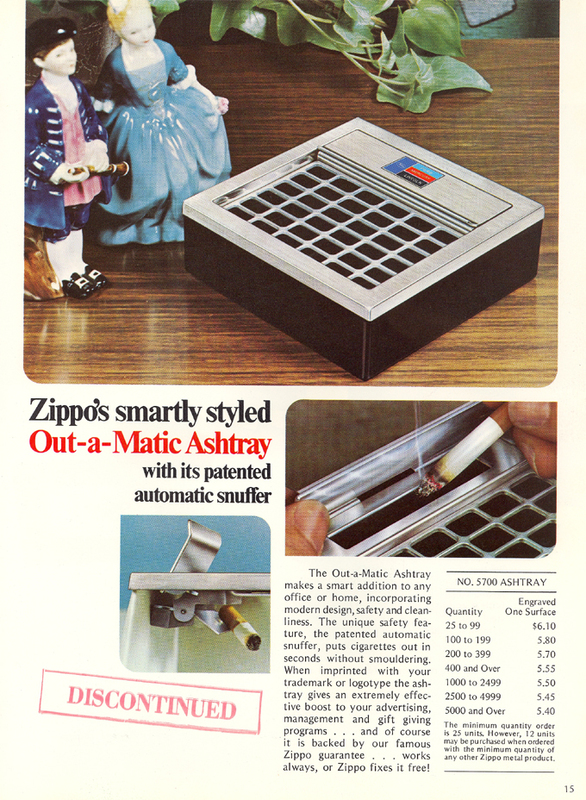 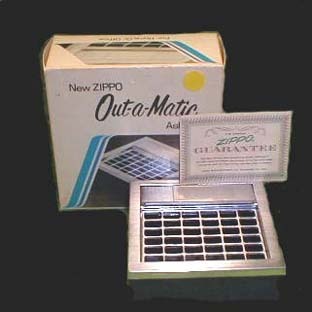 In 1972 after less than two years the Out-a-Matic ashtray was already discontinued.